The 100th Tour de France gets underway on Saturday with Team Sky looking for back-to-back wins following Sir Bradley Wiggins’ triumph last year. 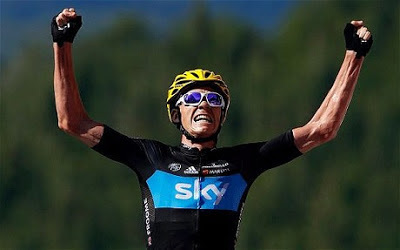 Wiggins will not be back to defend his title, but in Chris Froome, Sky have the strong favourite with the bookmakers. The 198 starters will pedal their way over a total of 3,403km, starting in Corsica and finishing at dusk on the Champs Elysees. During the 21 stages, they will climb the iconic Col de Peyresourde, Mont Ventoux, Alpe d’Huez and Col de la Madeleine in what is set to be a typically brutal affair. 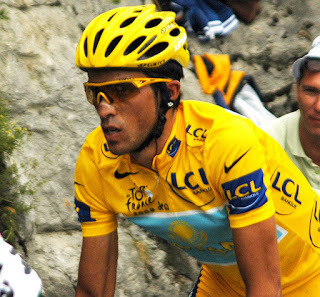 As the betting suggests, it is set to be a head-to-head battle between two men – Chris Froome and Alberto Contador. Chris Froome burst onto the scene with a podium place at the 2011 Vuelta before supporting Bradley Wiggins in last year’s Tour de France and finishing second. However, this year, he has looked the dominant rider in the peloton. He has won the Tour of Oman, the Criterium International, the Tour de Romandie and the Dauphine, only being beaten in the Tirreno-Adriatico by Vincenzo Nibali. He is arguably the strongest time-trialler in the race this year and he has shown his ability to win mountain stages already this year. In Richie Porte, he has a very able helper, and Team Sky have demonstrated that they know how to win these races. He will be very difficult to stop. His main challenger is likely to be the two-time Tour de France winner, Alberto Contador. Since his return from a positive doping test, he has won the Vuelta last year, but has looked a shadow of the man that he was before that ban. Without an overall victory this year, he finished behind Froome in Oman and Tirreno-Adriatico, while he rode in support of Michael Rogers in the Dauphine. While he is undoubtedly a magnificent rider, there are questions over whether he can still attack in the same way that he could in the past. In addition, Team Sky have often not reacted to his attacks, instead just upping their relentless pace to reel him back in. He is unlikely to beat Froome in the time-trials and the question remains as to whether he can shake him in the mountains. His main advantage is a very strong team. 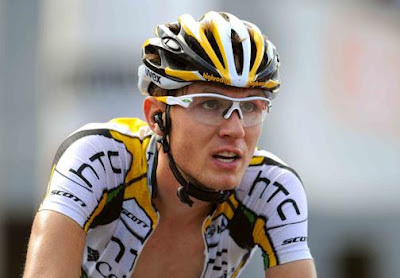 In Roman Kreuziger and Nicolas Roche, he has two top-class riders, while the likes of Michael Rogers and Sergio Paulinho are very able domestiques. If they can ride a clever tactical race, they may have the chance to get Contador away. In terms of the betting prices, Chris Froome is available at a best price of 4/5 with Paddy Power, significantly shorter than Bradley Wiggins was twelve months ago. Alberto Contador is available at a best price of 11/4 with Coral. While the winner is likely to come from these two, there are plenty of other contenders eyeing the final podium spot, or even to cause an upset should anything happen to these two. Richie Porte at 25/1 will be looking to replicate the ride that Froome himself put in last year to guarantee a podium place in support of his leader. However, I would be surprised to see him reach the podium. He will have to bury himself in support of Froome, particularly if the leader has a bad day, and although his time-trialling will give him a boost, I suspect he will lose significant time on at least one of the stages. The Movistar duo of Alejandro Valverde and Nairo Quintana are available at 40/1 and 25/1 respectively. In theory, Valverde is the leader, but how he performs is a bit of a mystery. He has the class to challenge for the podium, but has often flattered to deceive in the past. If he can strike up a good partnership with Quintana, they could have a good race. However, he was slightly disappointing in the Dauphine and will need to step it up. Quintana is undoubtedly a talent, but whether he is quite ready to challenge for the Tour remains to be seen. It is also a concern that he has not raced since mid-April. Garmin-Sharp come into this race with three co-leaders – Ryder Hesjedal, Dan Martin and Andrew Talansky. Arguments can be made for all three. Hesjedal won the Giro last year, but his defence was cut short by illness, while he crashed in the Tour de Suisse. He should be reasonably fresh, but whether he can repeat his performances of 2012 remain to be seen. Dan Martin is enjoying the best season of his career so far after some excellent performances in the Classics and the overall win in Catalunya. He could certainly be a threat for the top ten, but I would be surprised if he goes any higher. Andrew Talansky is a talented time-trialler and finished the Dauphine impressively, hanging with Chris Froome in the final stage. Hesjedal is available at 100/1, while Martin and Talansky are both rated at 150/1. In past years, Andy Schleck would have been right up in the leading group, but he is 50/1 to win this year and there is certainly no value there. His time-trialling has always let him down, but since his return from injury, he has struggled in the climbs as well and has shown nothing for a long time. Joaquim Rodriguez has had a quiet year so far, but has been incredibly consistent in Grand Tours over the past five years. He has finished in the top 7 in all but one of his past eight Grand Tours, including four podium finishes. One gets the impression that he is targeting this race this year and while his results in 2013 have not quite been as good as in previous years, he is certainly a contender for the podium. The bookmakers clearly agree as he is priced at 20/1 for the title. The final name is Jurgen van den Broeck. Available at 100/1, he has finished fourth twice in the Tour, but has been slightly disappointing so far this season. One problem is that the team will split their focus between him and Andre Greipel for the sprint stages, but he is a man that knows how to do well in these races and it is dangerous to write him off.